For a limited time fans of Jillian Maas Backman can enter the Goodreads Book Giveaway contest to win an autographed copy of the award-winning best seller, BEYOND THE PEWS: Breaking with Tradition and Letting Go of Religious Lockdown. Not only will the lucky winners receive a signed copy the book, they will also win a special personal FREE offer from Jillian. Jillian Maas Backman is offering the 3 lucky Goodreads Book Giveaway winners a FREE one-half hour private intuitive consultation. 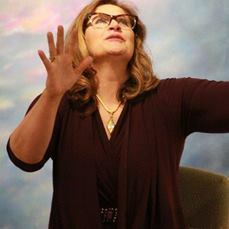 Jillian’s sessions are out of the ordinary, not just a run of the mill intuitive reading, but a session of lessons, complete with instruction from this gifted teacher. Winners of the contest will be able to use the session along with the lessons taught in BEYOND THE PEWS to find a better understanding of faith and spirituality in the real world. 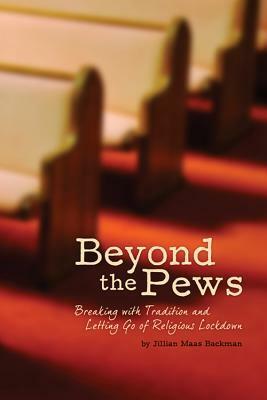 BEYOND THE PEWS has won several awards since its publication, including 1st place in the 2012 San Francisco Book Festival’s Spirituality category. Jillian Maas Backman is the host of weekly radio show, Change Already! and formerly broadcast from WLKG.FM in Lake Geneva, Wisconsin where she won several broadcasting awards. This is the chance to learn from someone who so graciously shares her knowledge, her faith, and her guidance with an array of high-profile clients, and is making her time available for 3 Goodreads winners! Giveaway ends July 16, 2014. For contest details and restrictions, please refer to Goodreads Book Giveaway. Contest entries must be submitted by July 16, 2014 to be eligible.